Would you like to become a SEETEST 2018 Speaker? Call for Papers is open! Would you like to become a SEETEST 2018 Speaker? 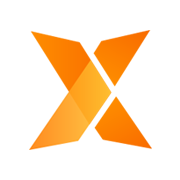 Then they will be happy to hear about your insights and expertise in Software Testing and Software Quality Management. Please submit your paper proposal by April 15, 2018! 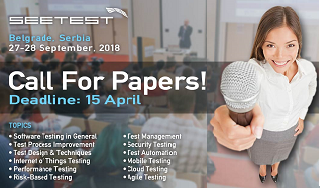 September 27-28, 2018, Crown Plaza Belgrade, Serbia. 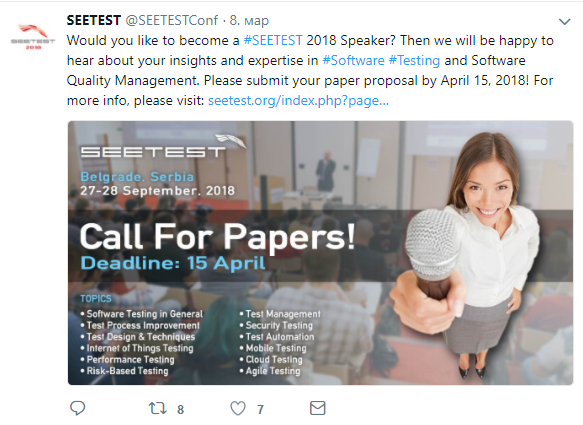 It is our pleasure to invite you to share your experience in the area of Software Testing and Software Quality Management at the 7th edition of SEETEST Conference. The conference will be in the well-known format of 1 day of tutorials (September 27), followed by 1 day of keynotes and presentations (September 28). SEETEST intend to publish some of the presentations on the SEETEST online at the web site and need your confirmation that we are allowed to do so. Please submit your presentation proposal through the submission system at pc.seetest.org.